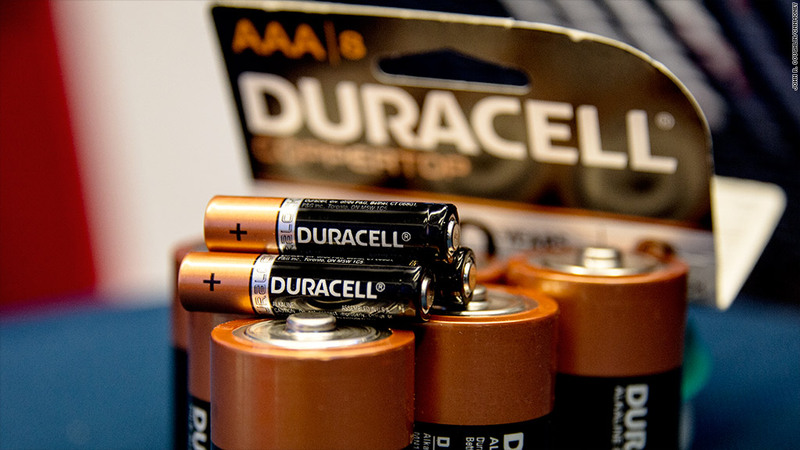 Procter & Gamble is splitting off its Duracell battery unit after owning it for 10 years. The company said it is acting to boost its share price and to reduce the number of shares outstanding. It hopes to give shares of a new stand-alone Duracell to its shareholders late next year, but said it will look at other options, including a possible sale of the company. P&G (PG) bought Duracell as part of its $57 billion purchase of Gillette in 2005, the largest acquisition in the company's history. But P&G, whose household products also include Tide laundry detergent and Pampers diapers, has said it is interested in trimming the number of brands it offers consumers. In August, it said it would dump 90 of its smaller, less popular brands, leaving it with a portfolio of 70 to 80 brands. But those brands being dumped are all much smaller than Duracell. The market for disposable batteries is seen as shrinking long term. Many devices that use batteries are designed to use less energy, such as LED flashlights. And other products that used to be major users of disposable batteries, such as transistor radios or portable tape players, have been replaced in the market by devices that user rechargable, longer-life batteries. Duracell is a maker of rechargable batteries as well. But its sales depend mostly on disposable ones. Other companies have been announcing spin-offs of various units in an effort to boost share value. Other such deals in the works include eBay's (EBAY) plans to spin off its PayPal electronic payments unit, and HP (HPQ) splitting its PC and printer business from its unit that provides software and services to corporate customers.